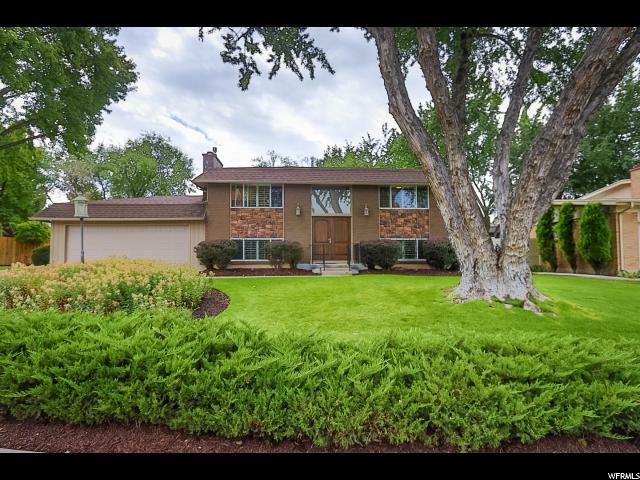 All BRENTWOOD PARK homes currently listed for sale in Salt Lake City as of 04/18/2019 are shown below. You can change the search criteria at any time by pressing the 'Change Search' button below. "Designer interior with quality details you don't expect in this price range! Fabulous complete remodel showcases incredible custom features done to perfection. Wood plank floors extend throughout the main enhanced by creamy white walls and crown molding. The entire lower level has exquisite black granite floors with marble casing. The kitchen and baths have custom cabinets. Granite slabs enhance the kitchen. Elegant crystal door hardware and incredible designer lighting are luxury extras. All spaces are light and bright. A wonderful covered deck overlooks the private backyard. The garage is oversized. Beautiful landscaping surrounds this home. This is a quiet enclave of nice homes in a super convenient central location. A real jewel! Property adjoins walk/bike path to Wheeler Farm. CRYSTAL CHANDELIER AND TWO WALL SCONCES ARE EXCLUDED. "